Progress Lighting Inspire Collection Ceiling fixture comes in an off-white linen fabric shade and antique bronze finish to suit your decor. It supports (1) 100-Watt incandescent lamp for energy efficiency, superior color rendering and long life. 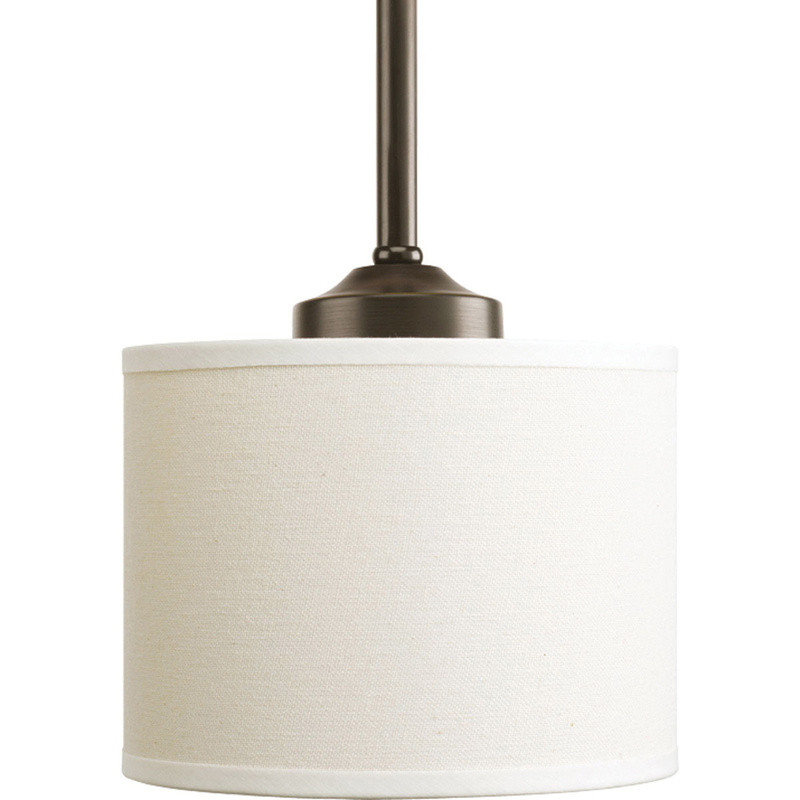 This ceiling/pendant mount fixture is supplied with (2) 6-Inch stems and 6-ft chain for ease installation. It is suitable for kitchen lighting and/or bar lighting. Ceiling fixture is UL-CUL dry location listed.